Dhaka, 2 May, Abnews: Prime Minister Sheikh Hasina has dedicated her achievement of Global Women’s Leadership Award to the women in Bangladesh and across the world. The premier came up with the announcement while addressing a press conference at her official residence Gono Bhaban in the capital about the outcomes of her just-concluded visits to Saudi Arabia, the United Kingdom (UK) and Australia. 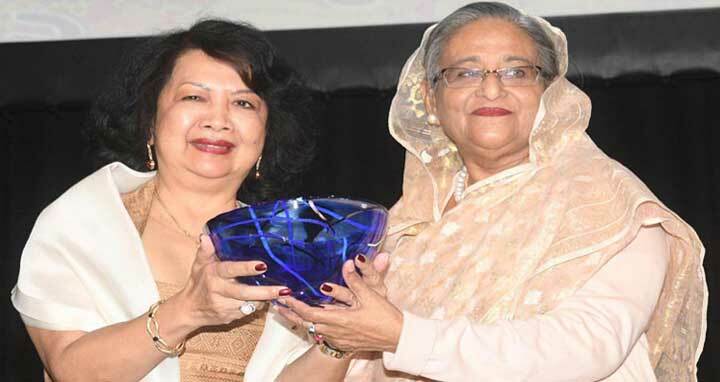 Sheikh Hasina received the prestigious accolade from Global Summit of Women President Irene Natividad amid thunderous clapping of nearly 1500 women leaders from across the globe who joined the summit on April 27 in Sydney.